MARGARET RIVER, Western Australia/AUS (Monday, April 16, 2018) – Women’s elimination Round 2 is ON today at the Margaret River Pro, the third stop of the World Surf League (WSL) Championship Tour (CT). The first women’s elimination heats will begin at 7:15 a.m. AEWT. The women will take on three-to-five foot (1 – 1.5 metre) waves at Main Break and fight to avoid an early exit from the final event of the Australian leg. Following Round 2, the WSL Commissioner’s Office will decide if men’s Round 3 will also run today. Reigning, two-time WSL Champion Tyler Wright (AUS) and Paige Hareb (NZL) have had a series of early eliminations this season. Their Round 2 matchup will put the pressure on both competitors as they search for their first solid result of the 2018 season. Lakey Peterson (USA) will hope to bounce back from her early exit at Bells Beach when she takes on Drug Aware Trials winner Mikaela Greene (AUS) in Heat 3. 2018 standout surfers Keely Andrew (AUS) and Malia Manuel (HAW) will do battle in the last heat of the round. Local hero Bronte Macaulay (AUS), 24, will have her hometown crowd cheering for her in Heat 2 against CT veteran Silvana Lima (BRA), 33. Up first this morning will be Sage Erickson (USA) against Coco Ho (HAW) in the opening heat of Round 2. Old/fading SW swell over the next couple days. Head-overhead sets still showing on Monday AM and with favorable winds. Then onshore winds Monday PM through Tuesday as the surf continues to decrease. A decent size pulse of new WSW swell moves in for Wed/Thurs (18th-19th); winds not favorable Wednesday, but looking ok for Thursday AM. High potential for a solid SW-WSW swell on the weekend (21st-22nd), but conditions are not looking good at this time. 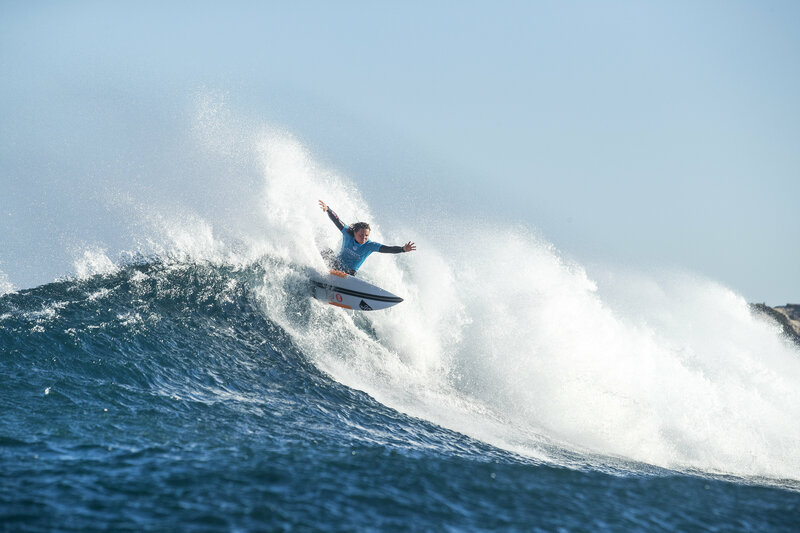 The World Surf League (WSL) is dedicated to celebrating the world’s best surfing on the world’s best waves through a variety of best-in-class audience platforms. The League, headquartered in Santa Monica, is a global sport with regional offices in Australasia, Africa, North America, South America, Hawaii, Japan and Europe.The WSL has been championing the world’s best surfing since 1976, annually running in excess of 180 global events across the Men’s and Women’s Championship Tours, the Big Wave Tour, Qualifying Series, Junior and Longboard Championships, as well as the WSL Big Wave Awards. The League possesses a deep appreciation for the sport’s rich heritage while promoting progression, innovation and performance at the highest levels, and in doing so crowns the undisputed world champions in Men’s, Women’s across all divisions within the tour.